The blooms now are not as bad as the record-breaking blooms in 2011. But they are a concern this year because of the amount of phosphorous expected to come into the western basin. It used to be that sewer plants and farming practices were the main culprits by dumping nutrients into rivers that feed into Lake Erie. Scavia said the Toledo sewer plant has been upgraded. So now, most of the phosphorous loading into the lake is coming from non-point sources, meaning they are coming from agricultural lands that have been overfertilized, versus individual pipes from treatment plants. Scavia said the blooms change the habitats of fish, like yellow perch, and cause them to migrate into areas that they are not used to living in. 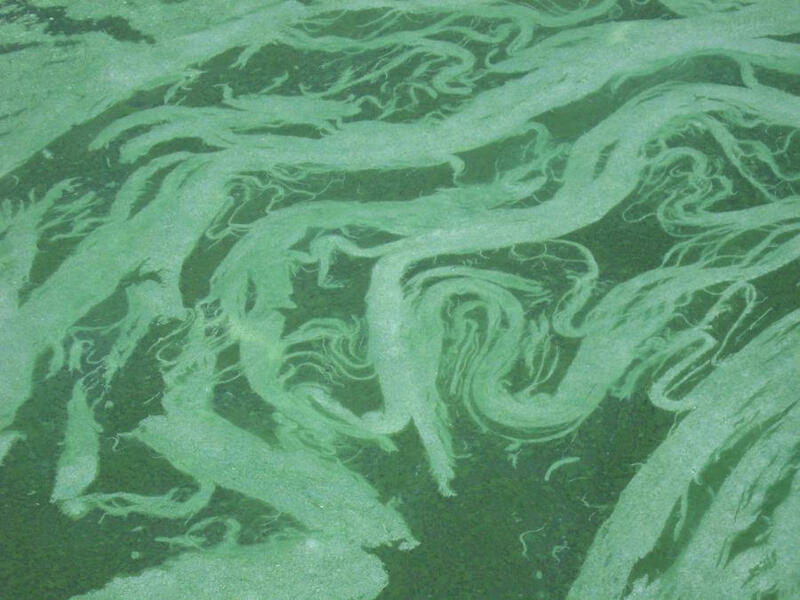 The cyanobacteria can make the water dangerous to swim in, and exposure to it can cause stomach flu, rashes, and infections. Scavia said one major reason for the phosphorous pouring in from the land comes from the massive storms we have been experiencing as a result of climate change. Scavia said one quick fix for the issue is to implement what’s called the four "Rs" in the agriculture world. “Make sure the fertilizer is put on in the right amount, at the right time, in the right place, in the right way to try to keep this dissolved phosphorous from getting into the lake," Scavia said.